Center for Health Information inc.
Providing understandable information on protecting health and preventing chronic disease. Is Type 2 diabetes reversible? For many, the answer is yes. Diabetes is a serious disease and must be treated as such. Many Type 2 diabetics have come to use Dr. Cohen's New Hippocratic Diet ® for weight-control and found that it brought their diabetes under better control than it had ever been before. Most were able to reduce or eliminate diabetic medications. Dr. Cohen cautions that diabetics on medication will need to monitor themselves closely and be in communication with a physician when starting this plan. Although the weight-loss is important, most diabetics following this plan saw changes as soon as they started, so they must prepare in advance for medication reduction. For those in earlier stages of diabetes, or simply at high-risk, it is even easier. Have you been made to feel it was your fault when you could not lose weight? It is likely that you did not fail at dieting; your diet failed you. This book is for everyone who has tried other diets and failed. 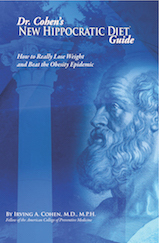 Dr. Cohen explains why bad weight-loss diet advice, worsened by changes in the food industry, is responsible for the worldwide obesity epidemic. 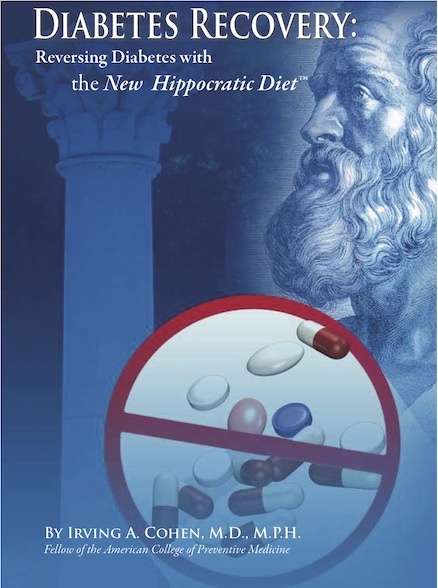 His answer is an effective, natural diet, based upon a modern computer model, yet confirming weight-loss principles first described more than 2,000 years ago by Hippocrates, the physician considered to be the father of rational Western medicine. or . . you are preparing meals for anyone who is. 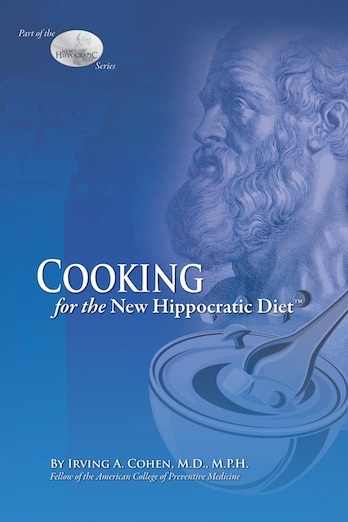 Our e-learning course Learning to use the New Hippocratic Diet ® will teach you even more about why many diets fail and how you may succeed. Whether you are dieting to reach a healthy weight or to reverse type 2 diabetes, you will learn how to succeed, even if you had previous failures. You will learn to follow an enjoyable and effective diet and all about the pitfalls that interfere with success. You will understand why you did not fail in past attempts at dieting, your diet failed you. Cómo realmente bajar de peso y vencer las epidemias de obesidad y diabetes. ¿Le han hecho sentir que es su culpa cuando no puede perder peso? Es probable que usted no fuera un fracaso en la dieta. Su dieta le fallóa usted. 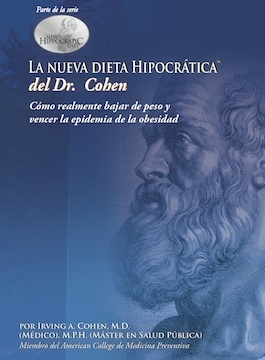 Price: $24.95 Comprar el libro hoy. ¡CLIC AQUI! Billions of dollars have been spent educating the public about the dangers of drug and alcohol addiction. Despite this, the powerful vortex of addiction continues. Why? 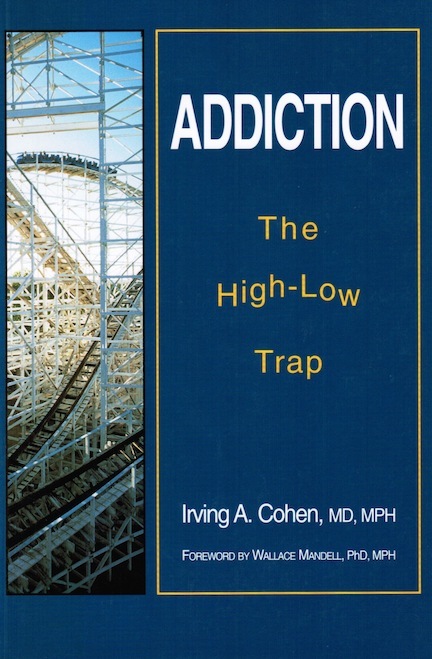 Doctor Cohen looks at the profile of the addict, the addiction and the drug to explain the roller coaster syndrome that traps innocent people. This book is recommended reading for anyone dealing with an addiction or trying to help an addicted person. Good, decent people get trapped by addiction...(we) need to join with others around us and ‘demand effective addiction prevention, detection and treatment for our nation.’... Cohen offers his intelligent and heartfelt book to that purpose. Professionals who love their work provide the best care, yet 67% of doctors leave their first position within five years! 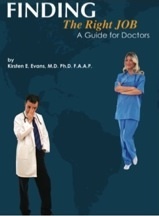 In this much-needed book, Dr. Kirsten Evans shows new medical doctors how they can find a job that is appropriate for them in terms of their values and long-term goals. Dr.Evans discusses the process of finding a job aid busy persons in considering their choices. She suggests a timetable and plan of action. 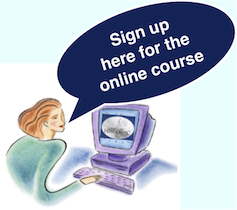 In her witty style, she lays out points to consider in choosing your location and type of practice, as she leads physicians through the job search, interviews and contracts. She warns readers of pitfalls in timing and lengthy credentialing. She provides information for foreign doctors. Her insights for women in medicine suggests questions they may consider so that they will not get trapped in situations that do not meet their needs.